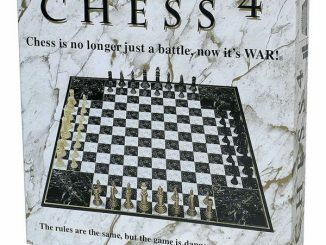 A while back we mentioned about the upcoming Doctor Who Chess Game and told you we would keep you informed of its status. 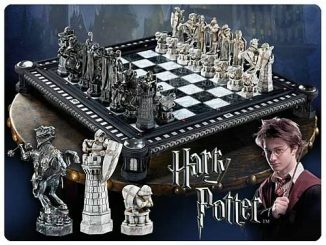 Well, it was just released; so if chess happens to be your favorite game and you also happen to be a fan of Doctor Who, then we’ve got a real treat for you: the Doctor Who Lenticular Animated Chess Set. 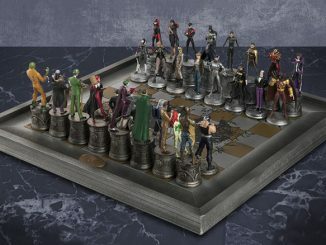 This attractive chess set features pieces that make use of motion-printed technology to integrate three-dimensional images of your favorite characters from the show into the actual chess pieces. 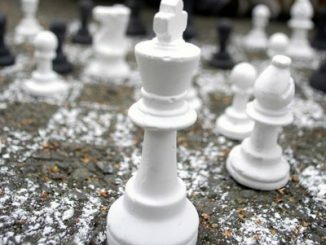 Pretty cool, right? 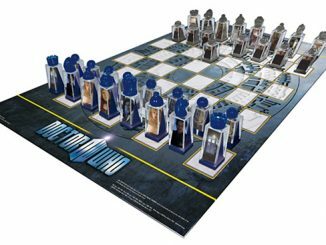 Have a go at a worthy opponent with the Doctor Who Lenticular Animated Chess Set and you might yourself getting more interested at the set itself, rather than the game. 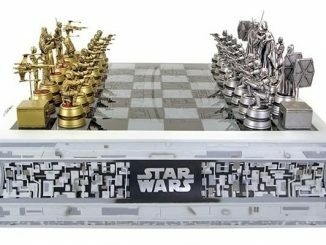 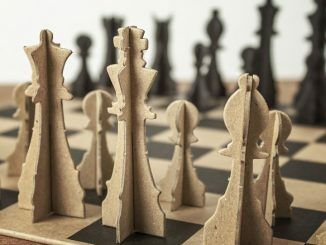 Star Wars can opt to get the Star Wars Chess Set, while those who are up for a challenge might want to go a speedy game with the Ice Speed Chess Set. 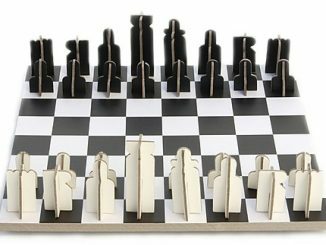 This chess set makes a great gift for any Doctor Who fan or chess player! 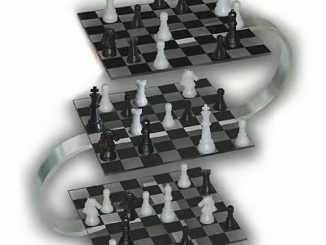 Pieces feature 3-D lenticular images of favorite Doctor Who characters. 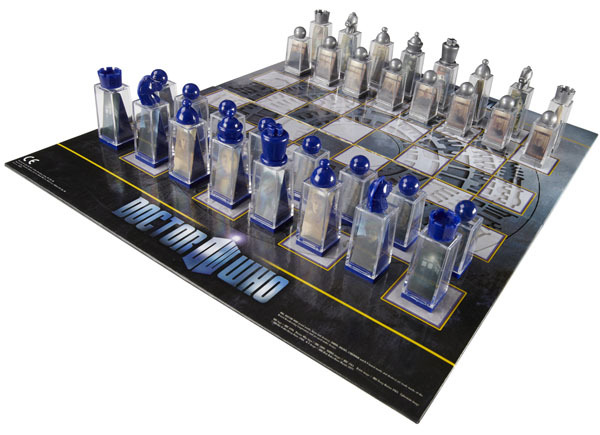 Using the latest in motion-printed technology, this fantastic, futuristic chess set includes 32 wonderfully detailed Doctor Who characters, captured in 3-D lenticular images from both sides, bringing some of the most beloved Doctor Who heroes and villains to animated life. 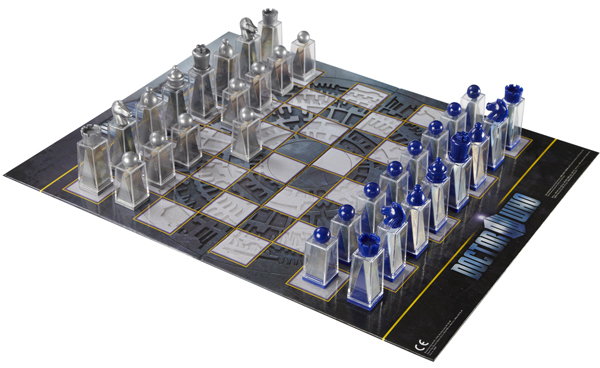 This set makes a much-appreciated gift for any Doctor Who fan or chess player! 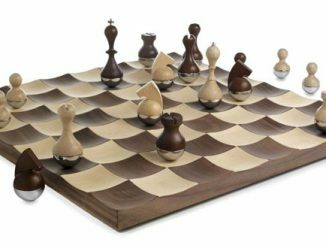 The Doctor Who Lenticular Animated Chess Set is available from Entertainment Earth for $54.99. 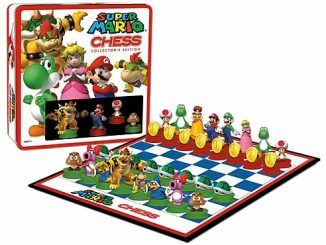 You can also pre-order it at Firebox.com. 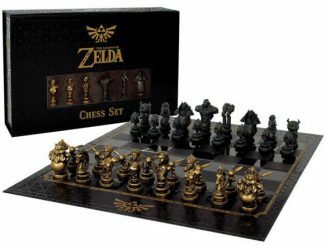 This set looks good, what I like about it is that the pieces that adorn the top of the little perspex boxes show exactly which piece is represented, this making it practical to play chess with.